I've been looking into doing a reverse loop. I have easy track on my layout. All the videos I've seen on YouTube indicate that I need to isolate the loop. Some of them show plastic inserts to use as rail joiners. I don't know if that could work with EZ rack. Does anyone have experience doing a reverse loop with EZ track? My E-Z Track layout has two reverse loops. You can paint the styrene sections silver with enamel-based paint to match the rails and super glue will hold them in place. I agree with doing it Flare's way. Even if you are successful in removing the metal joiners, the plastic joiners are thicker than the metal ones. I've had to cut away a little of the tie under the rail to get them to fit. The old way was to just cut the rail. Removing the E-Z Track metal rail joiner and replacing with insulated (plastic) rail joiner can be done but is most challenging. Cutting an isolating gap in rails is easier for most people. Gap does not need to be as wide as Flare wrote he uses. 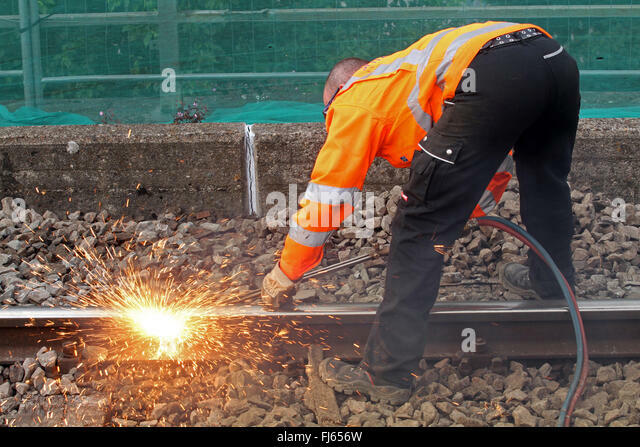 Never cut gap in rail without wearing proper eye protection. Cut gap in rail and fill the gap with small piece of styrene coated with CA to hold it place. After CA has cured, trim the styrene to match the rail profile. Be sure to remove CA residue from the inside and top of the railhead. The gap can be made with Dremel cut-off wheel , track razor saw, or using whatever tool you are comfortable using. The Dremel fiberglass reinforced cut-off wheel is more durable but make a thicker cut than some of the other Dremel wheel type cutters. All the mentioned tools make a gap much wider than necessary for electrical isolation. A 1-1/4” Fiberglass Reinforced Cut-Off Wheel cuts a gap about 0.045 inch wide. Click Here to view a segment from a Bachmann video. It includes the Bachmann Power Terminal with Insulated Gap track you can buy if you do not want to make what is required to use a Reverse Loop. What is Bachmann Trains' recommended method to remove E-Z Track metal rail joiner? Gap does not need to be as wide as Flare wrote he uses. True, but I find it's easier to cut the I-beam to the proper length when I can eyeball the ties in the track, and the larger piece is easier to handle and maneuver into place than thin ones. To RedlegJim : there is a gapped HO 9inch straight piece of NS gray Easy track available that is made to use with reversing loops . Please check in the Bachmann Web store for particlars . John2. 2.place flat side agaist end of rail.